The stylish 40-TRU-VIEW-XL 3 sided electric fireplace is truly innovative! The amazing flame presentation and unique media options can now be viewed from almost any angle through 3 sides of glass viewing area. Designed for finishing materials are to be built flush to the lip for a sleek face finish. Built-In only. No trim or surround included. Boasting a depth of 14 1/4”, the 40-TRU-VIEW-XL features two flame sets, ambient canopy lighting in 13 colors to illuminate the decorative media like never before and our exclusive FIRE & ICE® flame presentation that allows users to choose from blue, rose, violet, yellow or orange colored flames with just the click of the remote control. 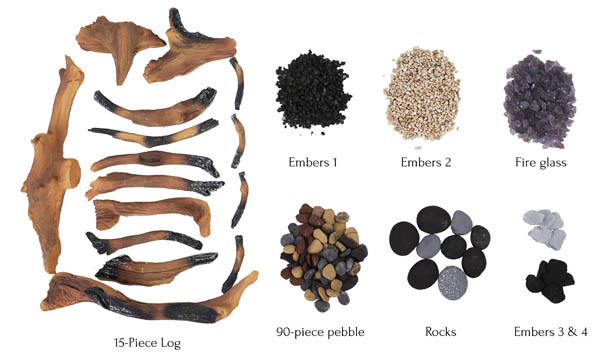 Customize the appearance of the 40-TRU-VIEW-XL further by utilizing the included Designer Media Kit which includes a Deluxe 11 piece log set, pebbles, black glass and ICE media. Further media options available for additional purchase. 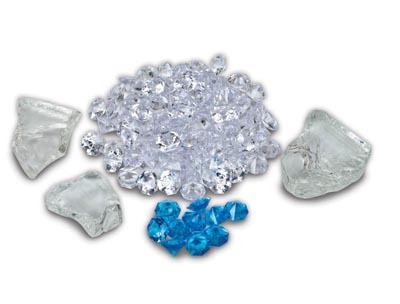 All units come with following decorative media - 11 piece log set and blue and clear diamond nuggets.